Air purity is critical for many applications where even the tiniest drop of oil can cause product spoilage or damage production equipment. CompAir’s oil-free DH range contains absolutely no oil anywhere in the compressor and has been certified ISO 8573-1 Class Zero (2010) and silicone free, making it better and safer with simply no risk of oil contamination. The unique design achieves lower speeds combined with lower operating temperatures – both resulting in high efficiency and reduced component wear. Using a single-stage, direct-driven motor without gears or belts, maximises efficiency. Limiting the compressed air to the application demand with regulated speed ensures that no energy is wasted. The unique design achieves lower speeds combined with lower operating temperatures – both resulting in high efficiency and reduced component wear. Using a single-stage, direct-driven motor without gears or belts, maximises efficiency. Limiting the compressed air to the application demand with regulated speed ensures that no energy is wasted. Our oil-free compressors are built to last, featuring robust designs and a simple construction, making them easier to maintain. We’ve also made them easy to operate, featuring a variety of control options to make sure that you are always in charge of your air supply. Maximum efficiency at any level of demand cuts energy costs and saves money. 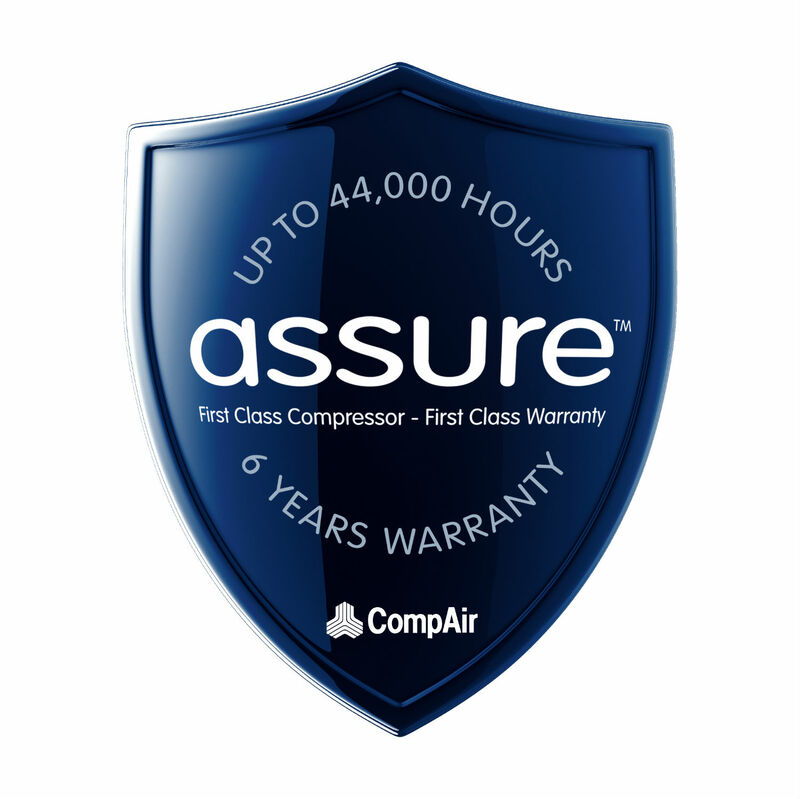 The CompAir Assure Warranty and Service programs will assure you up to 44,000 hours/6 years 1) peace of mind, and is one of the most generous warranties available in the industry. 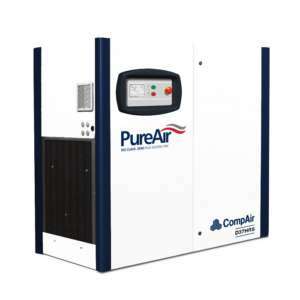 Air Energy offers the full range of CompAir DH Series Compressors. You can download the product brochure below. Download the DH Series product brochure. Interested in the CompAir DH Series range of compressors?